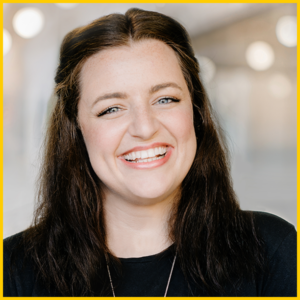 Katie Duffié is a marketing professional who finds purpose and fulfillment through creating opportunities for human connection. As Marketing & Events Coordinator for The Design Gym, Katie is able to nurture that passion by creating useful tools, sharing resources, and producing workshops and other learning experiences. With roots in St. Louis, Missouri, Katie is enthusiastically branching out on a new adventure in New York City. When she’s not navigating the streets and subways of her new home, you can find her sipping Chianti, doodling in her journal and absorbing as much pop culture as she possibly can. If you’d like to contact her—about The Design Gym or to obsess over SNL with her—send an email her way at [email protected].